Zermatt offers snow-sure, unique skiing in the shadow of the famous Matterhorn. 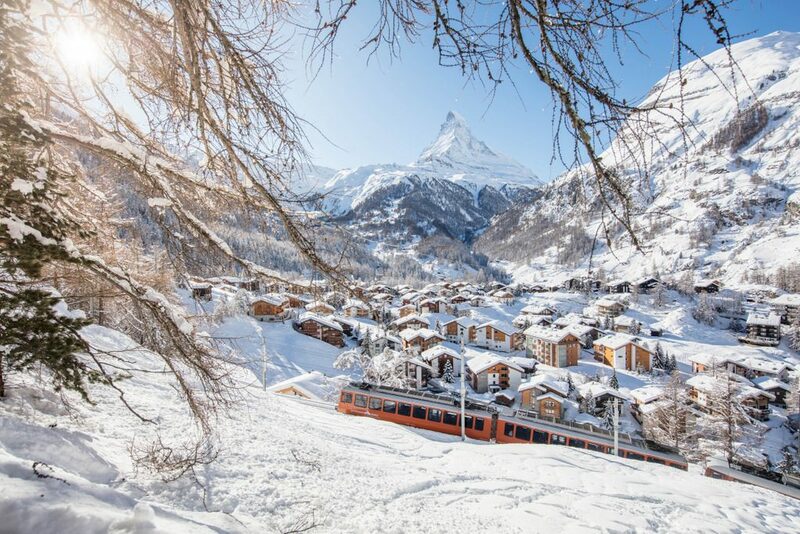 Surrounded by mighty summits, on offer is over 350km of pistes, with easy connections between Zermatt and the neighbouring Italian resort of Cervinia. As well as awesome skiing, the car-free village of Zermatt has a lively après-ski scene with plenty of restaurants serving everything from traditional Swiss cuisine to Italian pizza and several bars to enjoy live sports or dance until the early hours. Add in a handful of four and five-star luxury hotels, and Zermatt has all the ingredients for a great getaway. So what’s new in Zermatt in 2018/19? While the resort offers the same quality experience year after year, we’ve put together a list of some of the exciting new additions for the upcoming season. 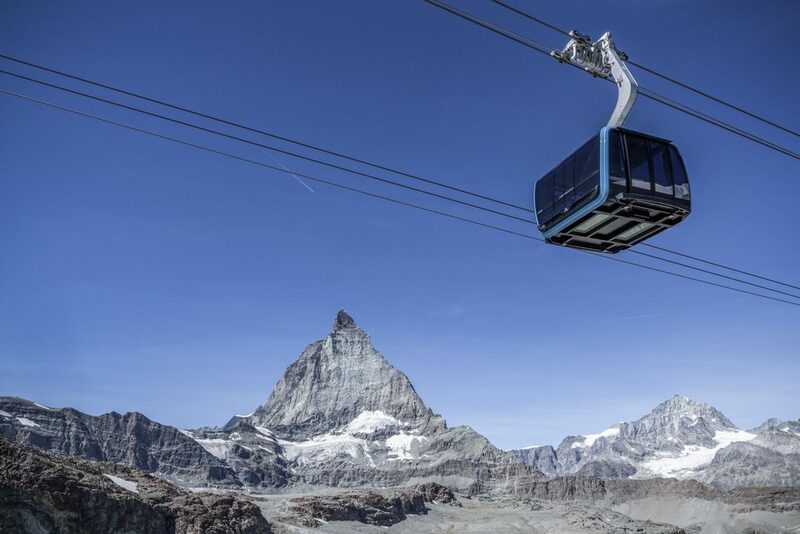 The world’s highest 3S (three cable) Cableway, the Matterhorn Glacier Ride, will start operating in Zermatt in December and will transport passengers from Zermatt up to the Matterhorn glacier paradise. Enjoy the glorious panoramic views of the surrounding mountain range as you travel in luxury cable cars – a handful of which have been encrusted with Swarovski crystals and even feature a floor that becomes translucent three minutes into the journey!